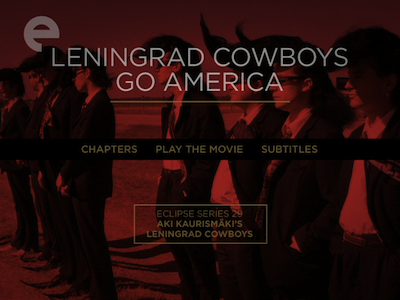 Leningrad Cowboys Go America is sort of like a mix of This is Spinal Tap and A Hard Day's Night . The line between the fiction and the reality that informs it is blurred. This could be a fake band pretending to go on the road, or it could be a real band pretending to go on the road. The operative word is "pretending." Kaurismäki took a Finnish group called the Sleepy Sleepers and turned them into a Russian band lacking in musical identity but overflowing with image. 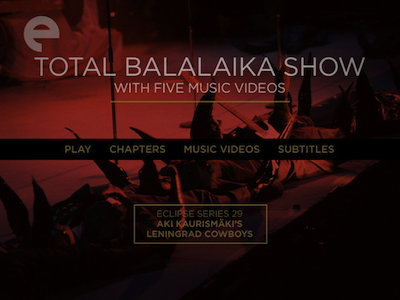 They are like a parody of the Soviet embrace of American pop following glasnost. Their extended pompadours and pointy shoes make them look like characters out of a Grimm fairy tale, some kind of Rumpelstiltskin in pimp clothes. Their music begins as traditional European folk, complete with accordion and brass, but morphs into rockabilly and punk as they travel the U.S. 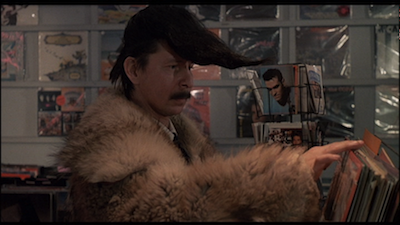 It's not hard to imagine a young Eugene Hutz seeing this movie and getting the inspiration for Gogol Bordello. 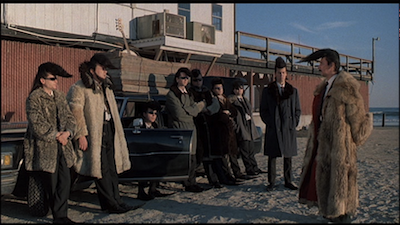 Though, to be fair, the Leningrad Cowboys would eventually take on a life of their own. 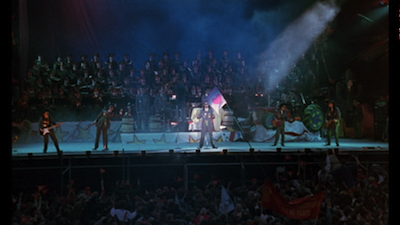 Perhaps a more apt reference point is 1991's The Commitments , Alan Parker's hit movie about the Irish soul band that began as an acting ensemble initially put together for the picture that then jumped out of the film and became a real group for a while. 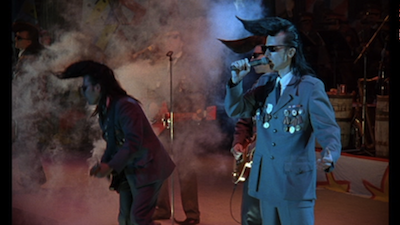 The Leningrad Cowboys continued to play and tour after the first movie and before returning in a sequel. 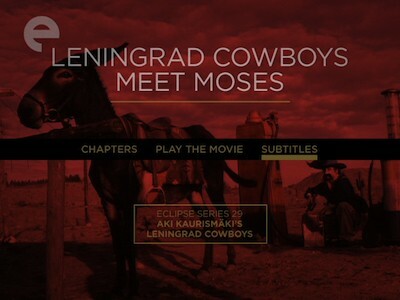 The second film, Leningrad Cowboys Meet Moses (1994; 94 mins. ), follows the same basic premise of the first film, only now the journey is reversed. 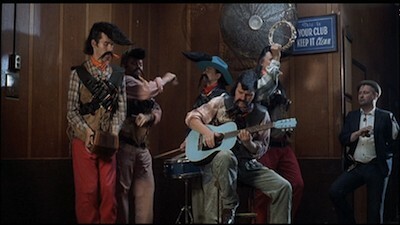 After several years as a successful band in Mexico, the Cowboys, now decked out in day-glo bandito gear, have drank away their fortunes on tequila. An offer to reform takes them to New York, where they discover the interested promoter is actually Vladimir. He has grown a beard, gotten a sliver of religion, and started calling himself Moses. He wants to make amends by leading his people back to Siberia. So begins a transcontinental road trip, once more full of ups and downs, peaking when the guys again realize Vladimir is cheating them.